Selection of the type of handle. 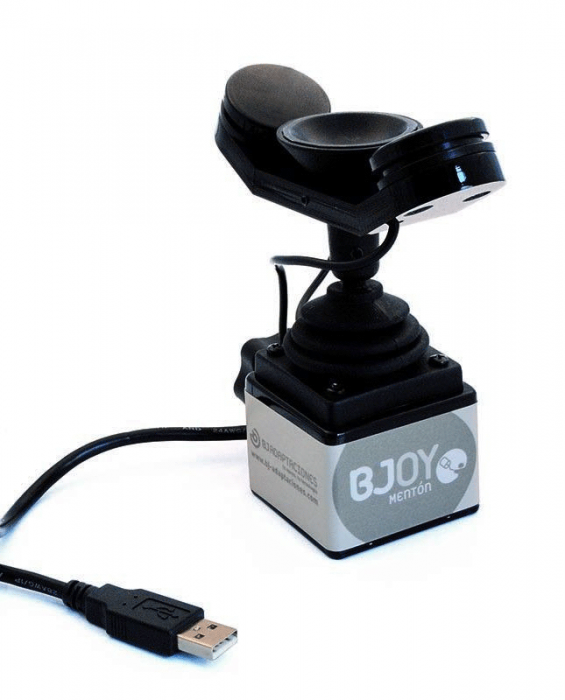 The mouse emulator BJOY Chin is a device that behaves like a conventional mouse and is specially designed to be controlled with the chin. 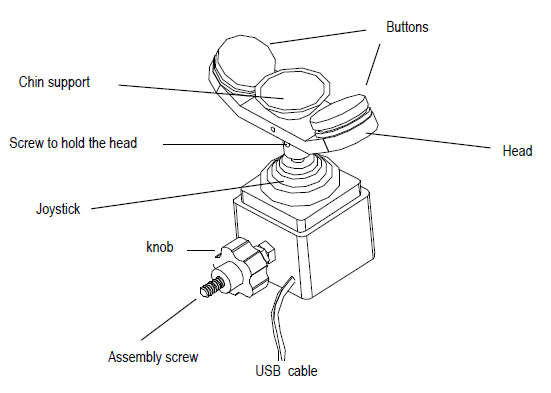 The joystick allows to move the cursor, being able to activate with the buttons the habitual functions associated with the clicks of a mouse. 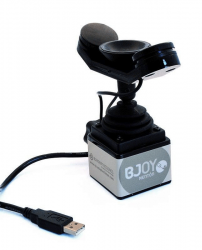 Sensitive and small size joystick. 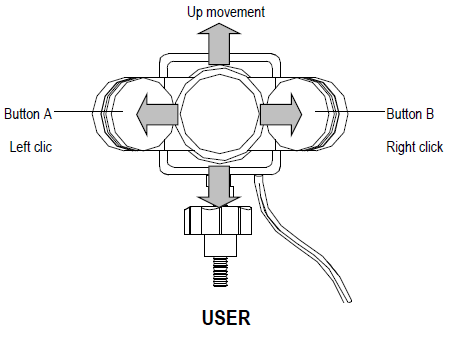 The speed of the pointer is adjusted by the action on the joystick. 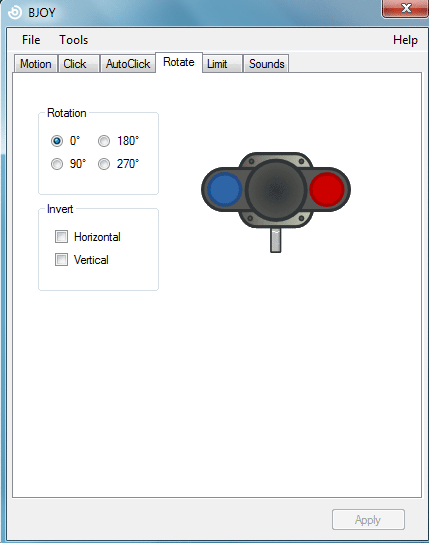 Two buttons for the functions of the clicks, independently configurable. It allows to adapt to the position of the user, being able to adjust the directions of movement according to the mounting orientation. Auditory response for the action on the buttons. 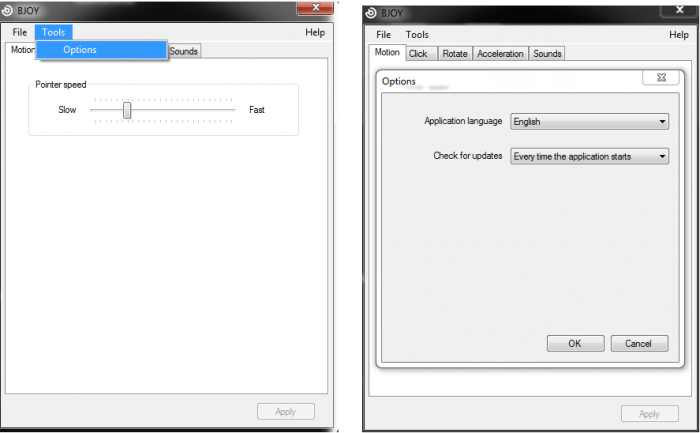 It does not require any installation software: the operating system recognizes it directly. You can make the usual configurations offered by the operating systems for the Mouse (change the type of pointer, click options, etc). Configurable and customizable using the BJOY Configurator software that is supplied with the product. 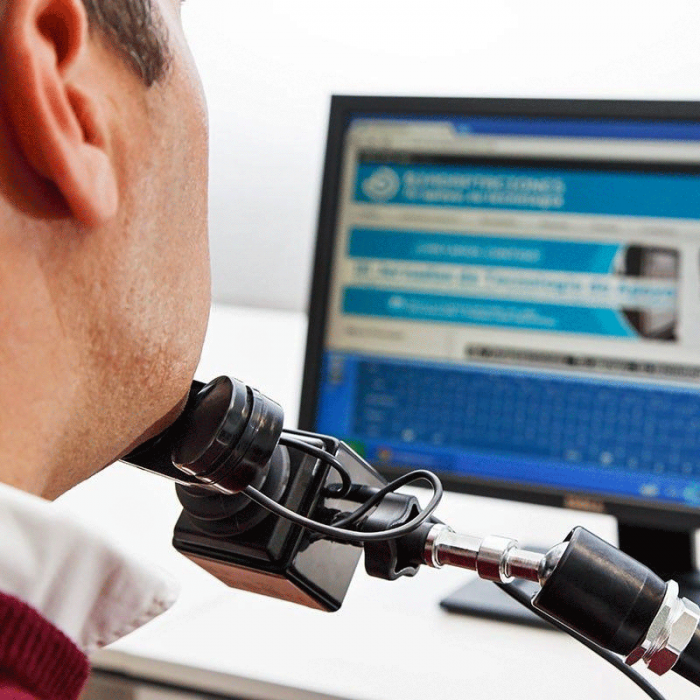 The configuration is stored in the device, not in the PC, which facilitates the use of the same device in different computers, without having to reconfigure it.